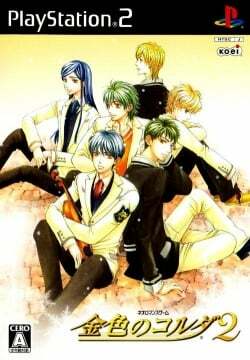 Game description: Kiniro no Corda 2 is the direct sequel to La Corda d'Oro and prequel to Kiniro no Corda 2 Encore. Seiso Academy's annual spring concour was a resounding success, and the Fata faded from the contestants' view. Five months later, the concour contestants somehow reunite with Lili. Although the students continue to celebrate music through concerts, his powers are strangely weakening. The cause is later revealed to be a permanent split of Seiso's dual curriculum by dividing the academy into two different schools. The protagonist can no longer use the magic violin's magic, but she is determined to keep playing it to help prove the value found in Seiso's current system. This page was last edited on 16 April 2019, at 10:33.